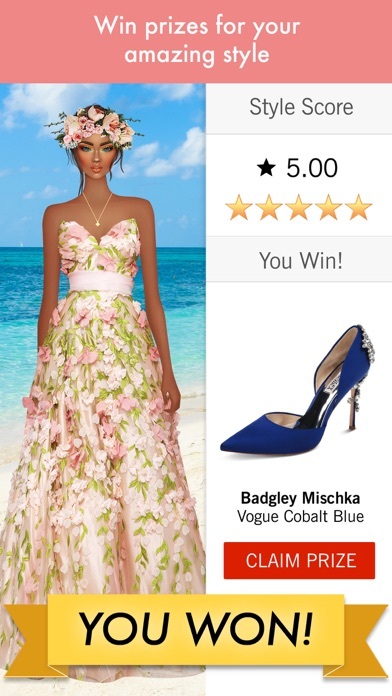 Covet Fashion - App - App Rediscovered! This game is satisfying in a way hard to explain. If you join a Fashion House, you’ll enjoy the camaraderie and interacting with the other players in your group. Beware, it’s addictive! They are cheap and have zero customer service! It is a really fun game...you design pretty outfits, make new friends, all kinds of great things...then there is the ugly side of Covet. Rest assured, they do not care about you in the least, just about how much money you give them. If you have a problem you get a cut and paste remark telling you to do things you told them you already tried. Oh and don’t think you can reply back and get more help. The message is the end of the conversation. You get diamonds and prizes for winning looks but you never know if your you look is going to get beat by someone wearing a salad bowl hair accessory for a look that is supposed to be like Grace Kelly. This happens for many reasons, some people like to vote for the stupid look,or they let their 2 year old vote. There is also the ever complex covet systems that lumps all looks that look exactly the same into one and they all get the same style score. But wait! There is more! There is the ever present battle between LCV (newbies) and HCV (played hard for years to get where they are). The LCV players like to think that the HCV players have an unfair advantage because we have access to the all of the cool and makeup. So I guess you are supposed to start a game at the highest level? Anyway, they make pacts to vote against HCV players to try to bring us down (do they need cheese with that whine?). The thing is it isn’t really the players that are the problem it is Covet. Your dress was upside down on your doll during voting, cut and paste response to force close game and clear cash. Your house won $18,000 prize in rally that caused you to level up but then disappeared from you closet. Please force close game and reset cache. They are the greediest, lest talented developers I have ever seen. There are game glitches that have gone on for years. You guessed, force close and clear cache. So I would not get involved with Covet fashion unless you like throwing away money on a game that only cares about the real cash it pulls in! I will first and foremost say that this is a highly addictive game, and yes I still play. I like that the pieces you’re dressing the “model” in are all real clothing and designers. It’s honestly opened my eyes to designers that I love (and can’t afford in real life). It’s a fun challenging game to help your stylist skills especially when you’re a plain Jane dresser like myself. My gripe comes with the scoring. First of all, each challenge has a theme. If this was real life and you’re dressing a model for a specific photo shoot, ie rainy day shoot, and you dress your model not according to theme, that’s not good. In Covet, anything goes. Also, even though I think they’re trying, there’s a race bias that’s obvious. For one, it’s annoying when a challenge is something like “style an African Queen...” and users submit pale, blonde white models. Secondly, 99% of the top looks are blonde; long flowing blonde hair that only Level 60 and above have access to. I also found out that there is a Facebook Covet group that discusses outfits for each challenge. There, they come up with what to dress the models. And THATS why in the “Top Looks” every outfit is EXACTLY THE SAME. There’s no variation. Maybe different makeup. But down to the shoes, the models are the same. On top of that, you get a higher vote if you copy the sample photo outfit used in the challenge pic. The closer you copy that pic, the better you do. That takes away from the imagination and creativity because it’s like it’s telling you what to do. The game is supposed to be creative but all the same looks win every time. That takes away from the enjoyment of the game big time. 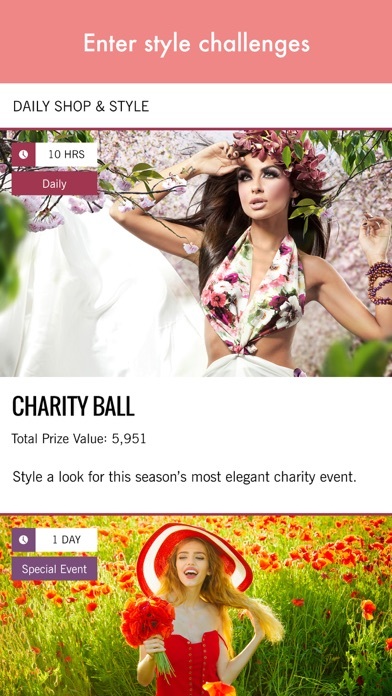 I appreciated the few challenges that Covet did where the model’s skin tone and makeup were locked. However that didn’t change the fact that the top looks all had the same outfit no matter what.